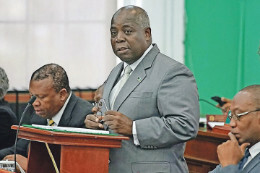 Addressing the House of Assembly this week on the Government’s push to purchase the Grand Lucayan Resort, Opposition Leader Philip ‘Brave' Davis said not only is this move a ‘bad deal,’ but the FNM administration still has not presented an Agreement Of Sale to show publicly what is being done. Good morning media and good morning to all. Thank you for coming and participating in this morning’s media briefing. A special welcome to all students to the new school year and it is our hope that you will make this an academically productive year. The picture of a Prime Minister and his Minister of Housing laying a plaque to promote the sale of a mere ten lots shows how desperate this government is for good news. Unfortunately there is no good news there either. First their housing programme is woefully inadequate, under resourced, if not non- existent. It is shameful that all the Housing Minister can tell us is how the majority of people who applied for their service lot programme could not qualify. 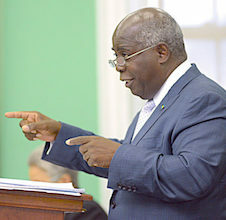 The New Providence Women’s Branch of the Progressive Liberal Party are appalled and cries shame on the Minister for BPL Desmond Bannister for his public savagery of the reputation of the former BPL chair, Mrs. Darnell Osbourne. 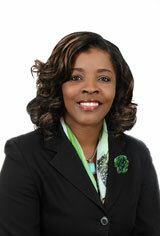 The minister's statement was sexist and we condemn it. 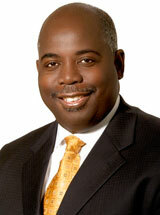 The Bahamas Power & Light (BPL) debacle came to a head last week with the unceremonious removal of the Board. It was reported that the entire Board of the nation’s main power supply company was asked to resign due to their inability to agree on matters and key decisions. 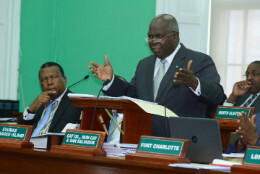 Today I have called you here to challenge you and the public to demand answers from The Bahamas government, the Prime Minister and the Attorney General in particular about the conduct of his Government and the agents of the state. It has been more than 48 hours since the affidavit I saw filed in the Shane Gibson matter made allegations of serious misconduct on the part of the prosecution. There has been no reply from the Government. 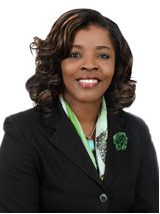 The recent credit opinion released on The Bahamas by Moody’s only highlighted the points that have been repeatedly raised by the Bahamian people. 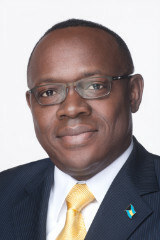 In maintaining our sovereign rating at Baa3 with a negative outlook, the rating agency focused on the fundamentals and prospects of the Bahamian economy under the current administration. 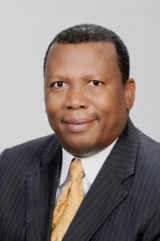 Today marks two days since we lost a great son our country, my friend and ardent supporter Bishop Rodney “Coffee” Roberts. 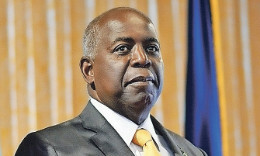 Opposition Leader Philip ‘Brave' Davis dismissed the FNM Government's reasons for VAT hike during the recent budget presentation, saying it will still place a severe burden on the public and stunt the nation's economic growth.